Why do I love handbells? Oh, there are so many reasons. 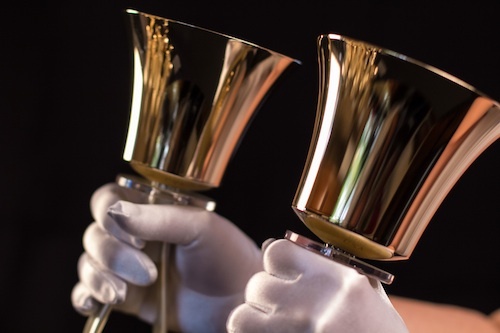 Handbells, by their very nature, form a community when played by a full choir of musicians. They help build the team, by the very necessity of each and every ringer who plays their position. They are accessible to people who might not ever play another instrument, giving them the gift of music making. They are versatile, allowing for not only a full choir, but smaller ensembles and soloists alike. And when I hear them played, they sound like heaven to me.